This post is sponsored by InComm. All thoughts and opinions are my own. Thank you for helping me support the brands I use and love. Phew! Christmas is less than two weeks away. Let that sink in. TWO weeks! I truly have no idea where the holiday season went this year, didn’t we just celebrate Thanksgiving? While I have most of my shopping finished, there are a few people that I need to purchase gifts for. These are the people on my list who are difficult to shop for. Can you tell I’m a bit of a procrastinator? We all have those people, they have everything and don’t want anything. They are tough to buy a gift for! This year, I’ve finally perfected the ‘last minute holiday gift’, thanks to Walmart. First, let me say: I think gift cards have a bad reputation. People often say they aren’t personal enough for a gift. I think that’s completely wrong! I love receiving gift cards as a gift, and if you take a bit of time, you can add a personal touch to any gift card! 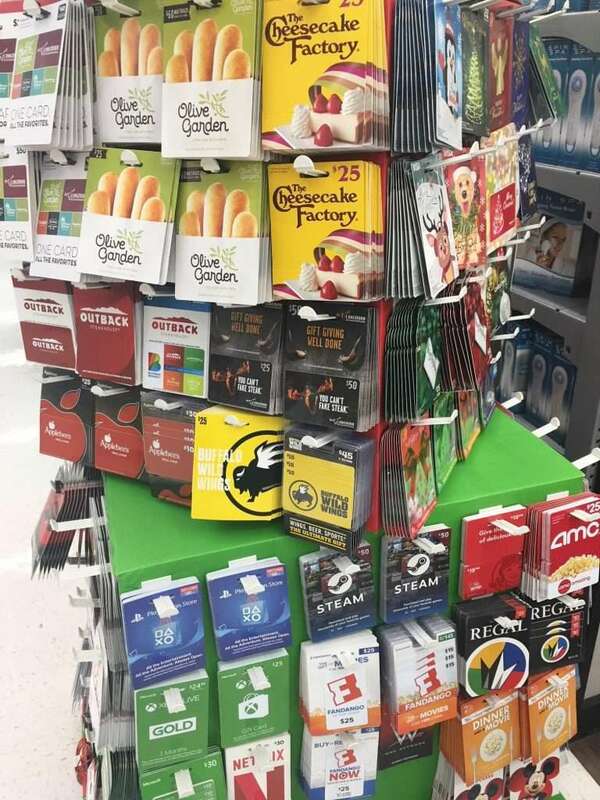 Recently, when I was in my local Walmart, I noticed this fun display of gift cards. 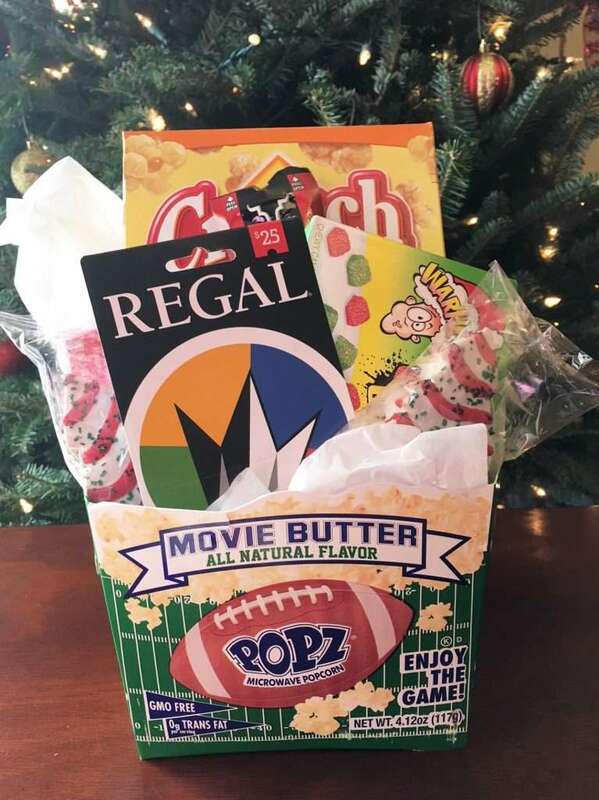 They truly have a gift card for anyone on your list! 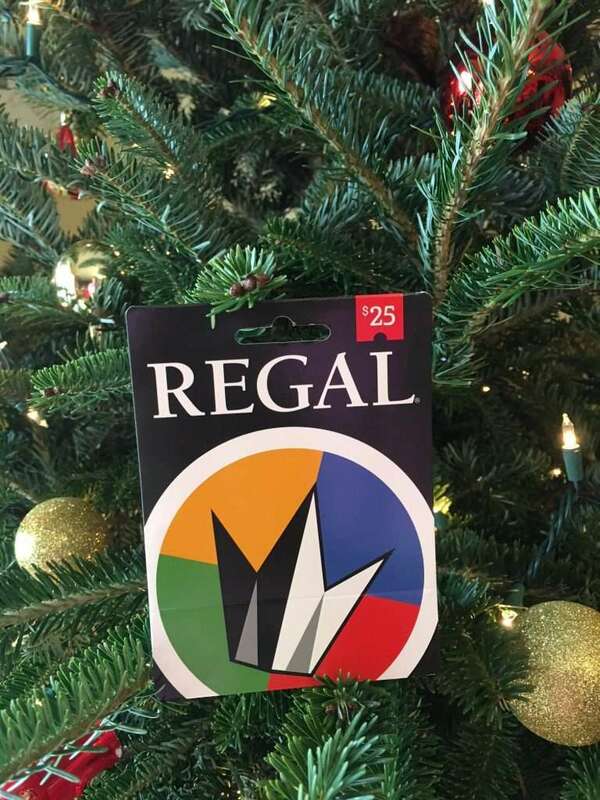 The person I was shopping for loves the movies, so I selected a Regal Cinemas Gift Card for the main focus of my last minute gift. From there, I headed over a few aisles and selected some candy and other ‘movie goodies’, including his favorite: beef jerky. These personal touches are the perfect way to let your gift recipient know you were thinking of them when you purchased the gift. After I returned home, I started building my gift basket. I started with a popcorn bucket, added a bit of tissue paper (you could add any sort of filler that you want! ), then added some holiday candy and his favorite goodies. Not only is this a beautiful and festive gift, it also is a great way to ‘wrap’ the gift card while making it the center focus of your gift. Personally, I think the basket turned out perfectly! 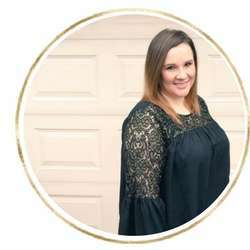 If you are in need of a last minute gift this holiday season, I highly encourage you to head over to your local Walmart and check out their amazing gift card selection!